David Hamilton composed a number of works for the Auckland Choral Society, and sometimes took part in performances. 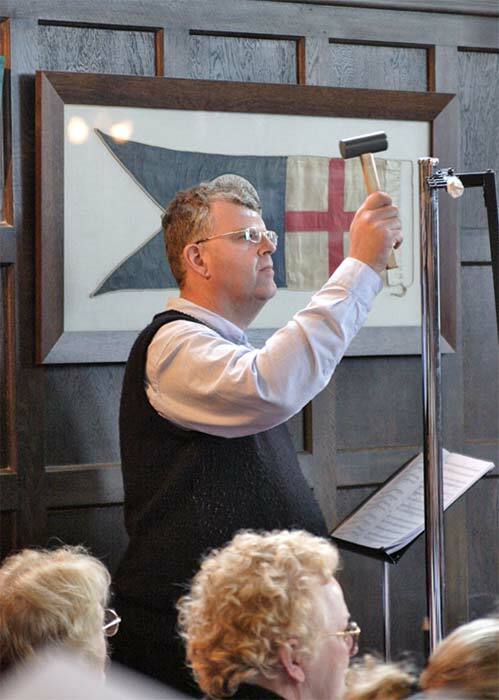 Here he is shown playing the tubular bells during a performance of his Missa Pacifica during a 2005 tour of the South Island with the society. The trip marked the society's 150th anniversary, and Missa Pacifica was commissioned to celebrate the milestone.